Harry Barber couldn’t drive like Lt. Frank Bullitt or steal like Thomas Crown, but it wasn’t for a lack of trying. The small-time crook who seriously hero-worshipped Steve McQueen somehow found himself in the middle of what many consider to be the biggest bank robbery score in U.S. history. Barber managed to elude capture for some time, but when the Feds start to close in, he will finally confess all to his shocked girlfriend in Mark Steven Johnson’s Finding Steve McQueen, which opens tomorrow in New Jersey. Needless to say, Barber is a bit of a meathead, but not a bad guy. His uncle Enzo Rotella was a creep, but Barber still hoped to join his Youngstown based crew of thieves, because he really didn’t have anything else going on. Against his better judgement, Rotella takes on Barber and his PTSD-suffering Vietnam veteran brother, for the bank job to end all bank jobs. The gig came to Rotella indirectly, via Teamster union boss Jimmy Hoffa, who got wind Nixon kept his slush money cash in a safety deposit box unobtrusively located in the United California Bank of Laguna Niguel, an easy drive from San Clemente. As we can tell from the flashback structure, the initial Rififi-esque blasting and drilling went remarkably smoothly, but things went sour during the weeks that followed. So, eh. There is some okay caper business that unfolds on the roof and inside the vault of the United California, but most of the characters are either wildly annoying or bland cardboard cut-outs. It gets especially tiresome listening to Rotella (based on the real-life Amil Dinsio) rage against Nixon. Seriously, that was over forty-five years ago and Watergate doesn’t even look so bad by today’s low standards. Frankly, it would be understandable if the McQueen family sued the producers, because the legendary star’s connection to the events dramatized was less than tangential. It should go without saying, but Barber was no Steve McQueen, at least as he is portrayed by Travis Fimmel. Yet, he is still rather likable, in a lunkheaded way. Unfortunately, his chemistry with Rachael Taylor as the stunned Molly Murphy never feels remotely believable. By far, the best thing about Finding is Forest Whitaker, who is terrific as the world-weary Special Agent Howard Lambert. It is a performance of dignity and pathos. He also nicely develops Lambert’s awkwardly platonic professional relationship with his junior colleague, Sharon Price, played with quiet subtlety by Lily Rabe. 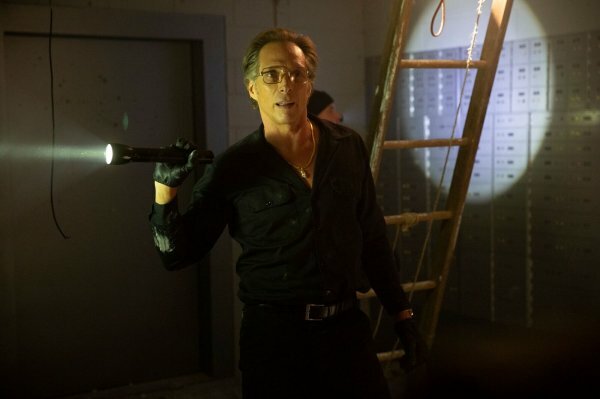 The great William Fichtner does his thing as Rotella, but he is stuck with way too many political diatribes. John Finn chews plenty of scenery as well, as Deputy Director W. Mark Felt—and we all know what makes his presence significant. Screenwriters Ken Hixon and Keith Sharon (a reporter at the Orange County Register) intriguingly blend capery crime fiction with political history, but they frequently stipulate events and theories not entirely established by the historical record. Ultimately, it is just sort of okay, but nothing special. 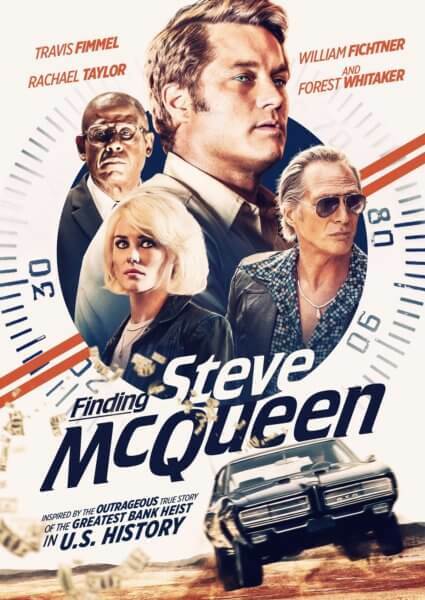 Maybe Whitaker fans will eventually find it worth streaming for free, but there is no pressing need to rush out to see it when Finding Steve McQueen opens tomorrow (3/15) in Jersey, at the AMC Cherry Hill.